THE NATION he ruled may still be an international pariah, but to judge by the International Friendship Exhibition, the late Kim Jong-il was a popular man indeed.The building housing the exhibition rises from the pine-forested hills of North Pyongan province, close to North Korea’s border with China. It appears as a huge box of burnished concrete, topped by a multi-coloured “hip saddle” roof. Like most buildings erected by the North Korean state, it seems like a cross-breeding of Soviet modernism and Korean tradition, a melding of the communist and the Confucian. Flanking the immense patterned doors are soldiers in fur hats, each carrying a silver-plated Kalashnikov rifle. 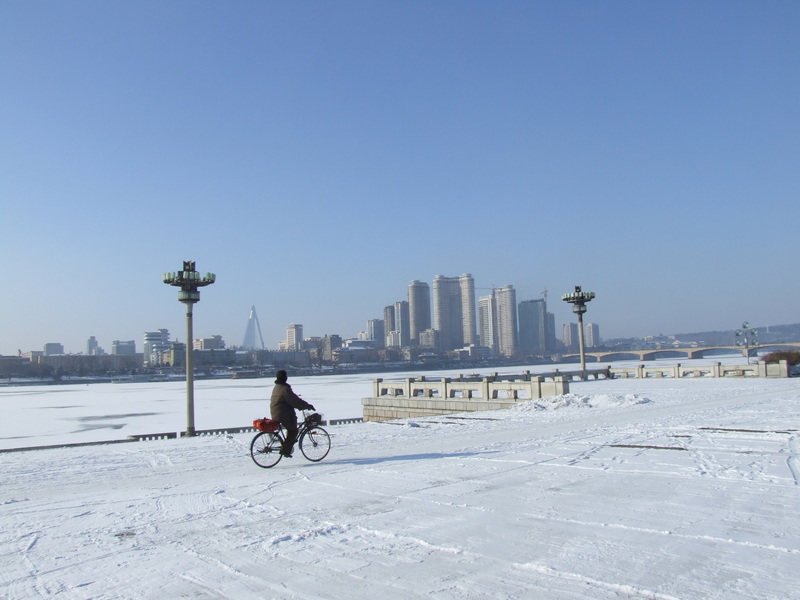 When Kim Jong-il, the “Dear Leader”, died on December 17th last, State television broadcast images from the snowy capital of Pyongyang. In the streets, in public squares and at various monuments, crowds of North Koreans wailed. 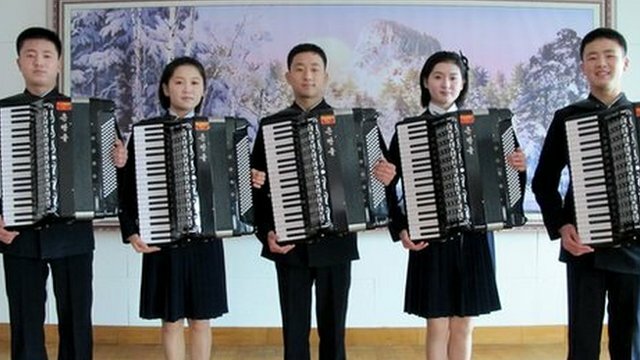 The purpose of the exhibition parallels that footage, purporting to demonstrate that the love of foreigners for North Korea’s rulers almost matches that of its subjects.The world’s youngest head of state led the Dear Leader’s funeral procession. At 29, Kim Jong-un has already been named Great Successor. …On February 16th, what would have been Kim Jong-il’s 70th birthday was marked with parades, gymnastic displays and the unveiling of statues. Worship of the Dear Leader plays an important part in buttressing the authority of the latest incarnation of North Korea’s personality cult. THERE IS plenty of evidence of this phenomenon in Pyongyang. At first glance, the city gives the impression, accentuated by the fierce cold, that the clocks stopped ticking 30 years ago. China next door may have embraced all the trappings of consumer culture, but its flashing neon signs and billboards for cosmetics or soft drinks are almost non-existent here.Yet cranes are visible on the skyline. In some parts of the city construction sites are alive with the splutter of jackhammers and helmeted construction workers. These could be sites in the South Korean capital of Seoul were it not for the bundles of red flags fluttering nearby. WATCHING ALL this, it could be tempting to surmise that perhaps the first stirrings of a Soviet-style glasnost or perestroika are under way. But such speculation would be premature. The surge in construction work around Pyongyang was authorised some years ago by Kim Jong-il. Scaffolding and sheeting now cover the most hallowed of the estimated 34,000 separate statues of the dynasty’s founder. At Mansu hill, a 65-foot high statue of Kim Il-sung stands in burnished bronze, one arm held aloft. North Korea will mark the centenary of his birth in April. Far from indicating a new engagement with the outside world, the building work anticipates a further burst of cultic worship. “What I’ve been struck by since January is how much Kim Jong-un has been paraded by the regime,” says Aidan Foster Carter, an expert on North Korea at Leeds University. “After Kim Il-sung died in 1994, the country effectively shut down for three years and Kim Jong-il was little seen. It’s the opposite now: the regime’s rhetoric has been very strong since 17th December.”This dynastic regime is notorious for its belligerent nature, having conducted nuclear tests in 2006 and 2009 and with international talks to resolve the nuclear issue having stalled. North Korea also possesses intermediate-range ballistic missiles including the Taepodong-2, which could theoretically hit targets in Alaska. Location: UTS Cosmopolitan Civil Societies Research Centre, Level 3, MaryAnn House, 645 Harris Street, Ultimo, Sydney. Summary: It has been more than six decades since Korea was divided. The North and the South remain completely isolated from each other politically, economically, and culturally. The absence of transportation, postal, or telephone communication between them has led to the growing differences in language and everyday life. Defectors from the North and occasional visitors from the South face a cultural shock when confronted with the realities of life on the other side of the DMZ. 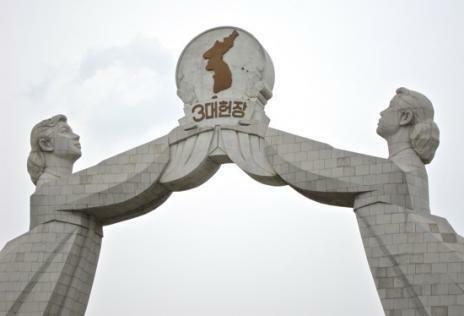 What are the main socio-cultural differences that make the unification of Korea problematic? How can we help ordinary Koreans in the North and the South reconcile and re-unify? * Dr. Park Ki-Seok is a Research Professor at the Kim Il-Sung University in Pyongyang. A linguist by training, he looks at the national language as the foundation for future development and re-unification. Dr. Park has published two books: “The Spring Water-like Language of Pyongyang” (2009), and “The Four Seasons of Pyongyang” (2011).